The Drudge Report, that bastion of right-wing tabloid stories, has outdone itself with its coverage of the latest Anthony Weiner sexting scandal. Not only has it insinuated that the breakup of Weiner and Huma Abedin's marriage is part of a massive cover-up for a lesbian affair between Abedin and Hillary Clinton, but it also tried to use a photo to support that theory. 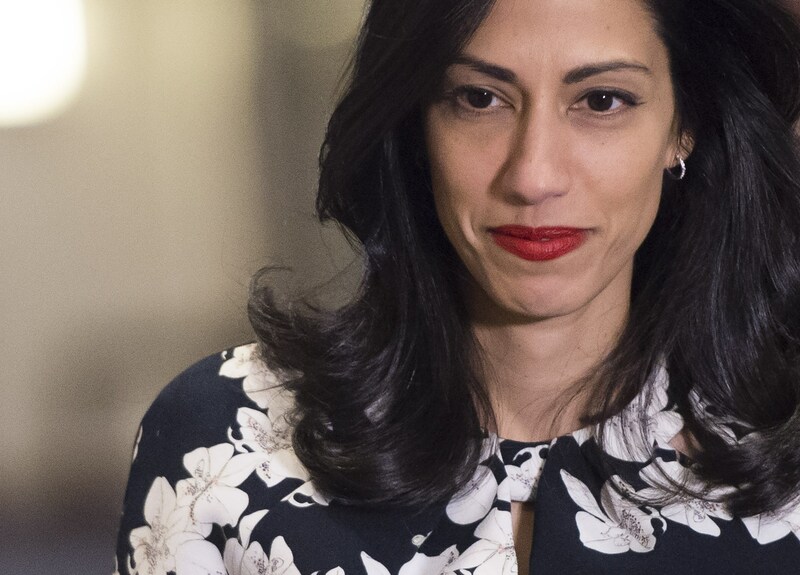 But aside from the usual ridiculousness of the "theory," there's another major problem: The Drudge Report couldn't even be bothered to use a photo of Huma Abedin. Instead, it confused Abedin with Aung San Suu Kyi, a Burmese politician and diplomat. The Drudge Report claimed that the photo showed Clinton consoling Abedin following her separation from her husband, Weiner, who is now involved in his third sexting scandal. The caption to the photo reads: "WEINER FREE! WEDDING BAND OFF!" By using this photo, The Drudge Report is again pointing to the conspiracy theory the publication has been fanning throughout the election: that Clinton and Abedin are involved in a lesbian relationship, and that Weiner was a mere obstacle to that relationship. There's much that could be said for the creepy undertones to the piece, of course. But the photo and allegations are fraught with plain factual errors, too. As Slate pointed out, there are a multitude of errors. First and foremost, the woman in the picture is not Abedin, but Burmese politician Suu Kyi. Suu Kyi was Myanmar's first female foreign minister of affairs, and is now the country's state counsellor, a position higher than the president. She underwent 15 years of house arrest after speaking out against the country's leader and fighting for human rights. Suu Kyi was married to Michael Aris, who died in 1999. If you look at the same shot from a different angle, you can see that Suu Kyi is indeed wearing a wedding band. Furthermore, the Reuters' database also shows that this photo was taken in December 2011, not amid this week's scandal. Now that's just sheer laziness on the part of The Drudge Report. But its photo also pointed to a larger problem with the publication, however — evidently, it can't be bothered to distinguish between two women of color. The internet sure noticed, however. After it was first caught by NBC Nightly News senior news editor and writer Bradd Jaffy, Twitter users protested the publication's use of the photo. Shortly after the error was pointed out, the publication changed the photo to one of Clinton and Abedin walking together. Nevertheless, this doesn't make up for the error in the first place. The photo was meant to be attention-grabbing, so facts came secondary.